What an interesting, mesmerizing film. I put this in the HD Talk section because if you go to any blu ray review site they claim this is one of the best blu's ever released in terms of Audio/Video quality...and it lives up to it! Wow, such sharp detail, magnificent colors, and awe inspiring cinematography. In case someone doesn't know what this film is, it's a documentary from 1993 that features images of nature and society from around the world. No dialogue, just gorgeously shot footage and music. Highly worth checking out if you want to see the best blu ray has to offer. Yes, it usually gets mentioned whenever someone asks for reference blu-rays. It will definitely show off a decent system. I had never even heard of this film before I joined the forum (my first thought was the Mortal Kombat character), but everyone seems to rave about the quality of the blu ray. May have to check out. Last edited by gp1086; 02-02-12 at 01:52 PM. Saw it projected in 4K a few months ago. how did it sound? so far only the TIFF presentation was in 7.1 surround sound, whereas the recent Santa Barbara Film Festival screening was not. Sounded good too. It was in one of the festival's better venues. 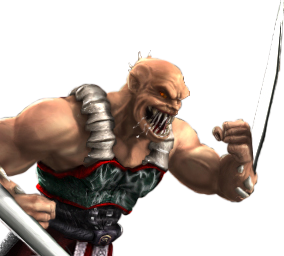 The score and sound design are basically identical to Baraka.